Please call 503-799-1665 to schedule an appointment. Fetch and Heal: Home Veterinary Care is a house call veterinary medical practice for pets (dogs and cats). 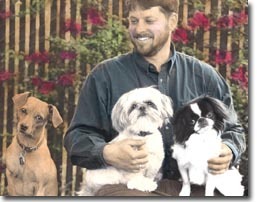 Dr. Brent Carroll provides personalized home health care in Portland, OR. Home visits are available by appointment. House call services include wellness exams and preventative care (including vaccinations). Palliative care, quality-of-life assessment, and in-home euthanasia are services offered for pets nearing their end-of-life. 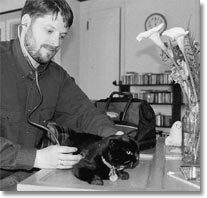 House calls allow a pet to be examined comfortably in their own environment. This eliminates the stress some pets experience with travel and relieves the anxiety some pets associate with hospital settings. The convenience of having the veterinarian come to you spares wasted time in traffic or a busy waiting room. House calls are especially beneficial to multiple pet households and to those clients with transportation limitations. In-home veterinary service allows dedicated, personal attention to your pet's wellness.